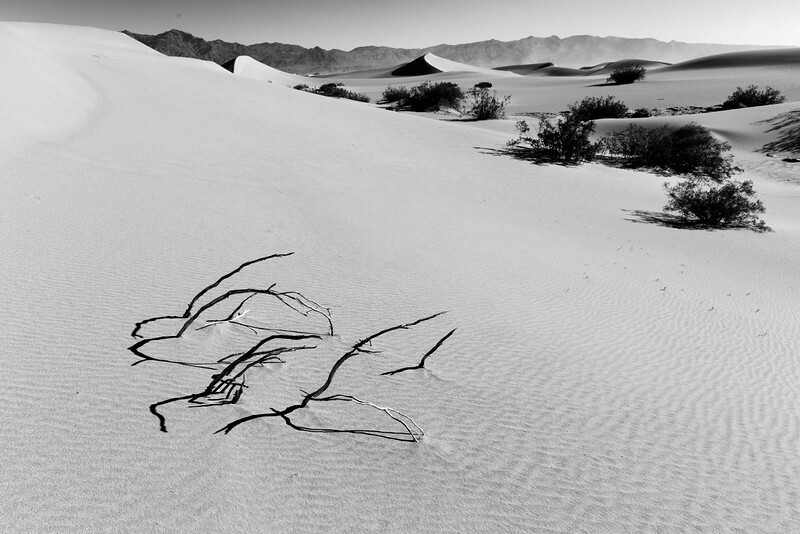 Branches from a dead bush cast shadows on sand in the Mesquite Flat Dunes in Death Valley National Park. 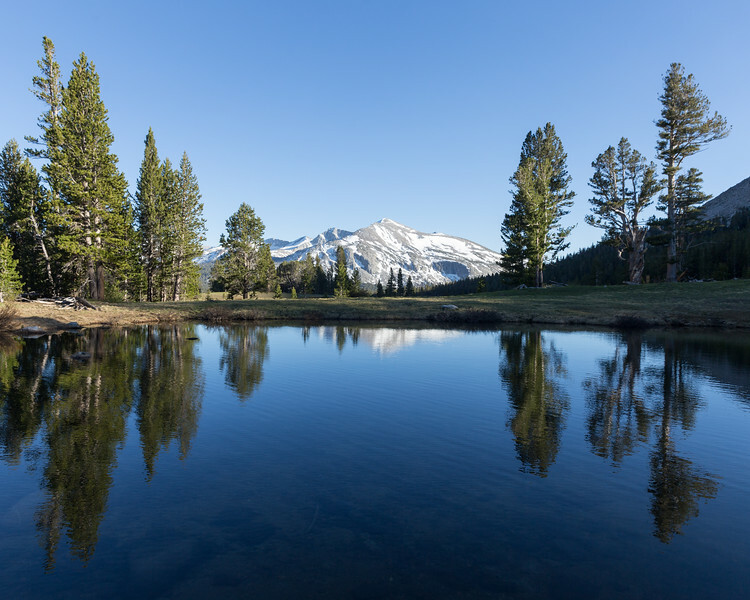 Trees and Kuna Crest are reflected in a lake along Tioga Pass in Yosemite National Park. 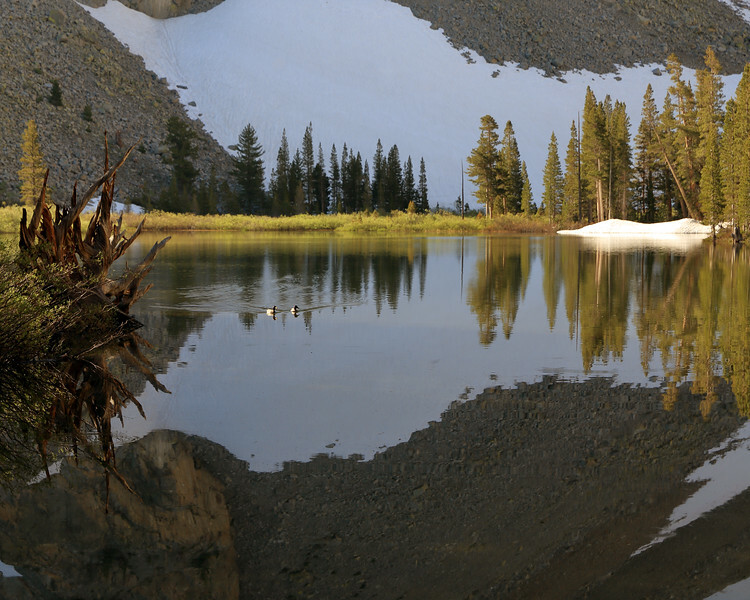 Mount Conness and North Peak loom above an unamed lake in the Hoover Wilderness of Mono County, California. 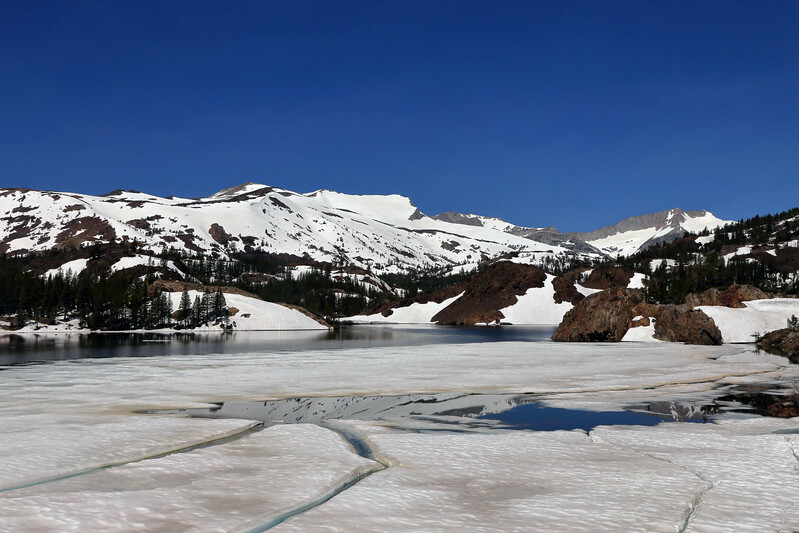 Patches of snow remain along the shores of Wasco Lake in the Hoover Wilderness in Mono County, California. 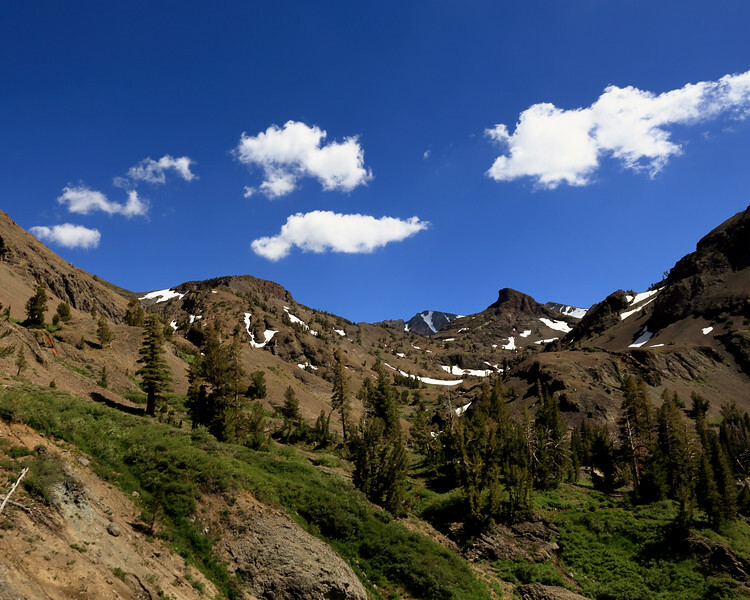 North Peak looms above Shamrock Peak in the Hoover Wilderness of Mono County, California. 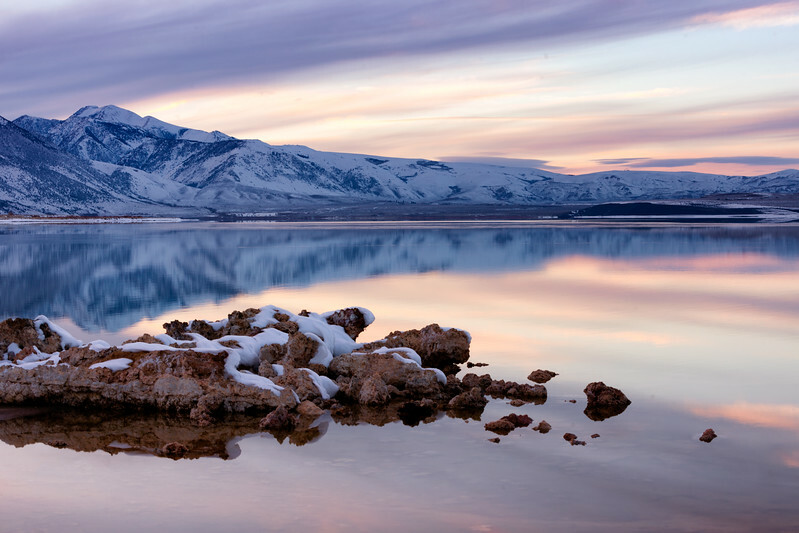 Color fades from the sky after dusk on a cold winter day at Mono Lake in Mono County, California. 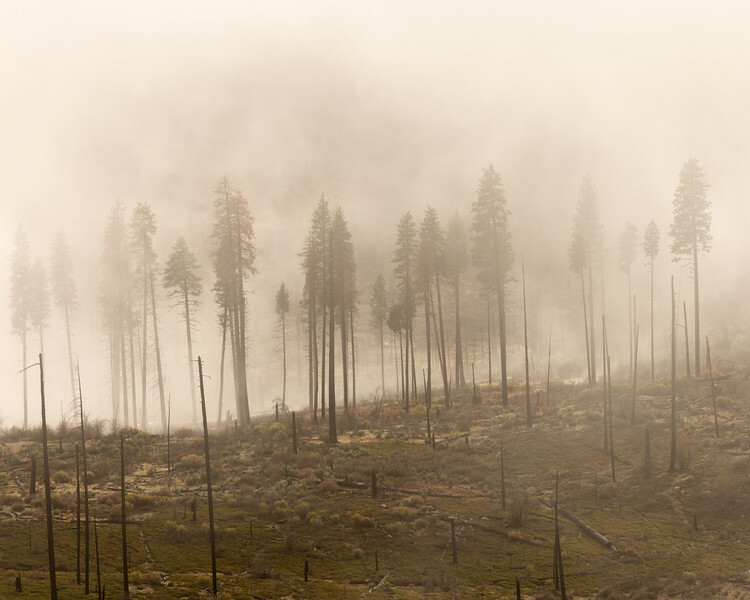 Pine trees looms from the mist during a winter storm near Foresta, California in Yosemite National Park. 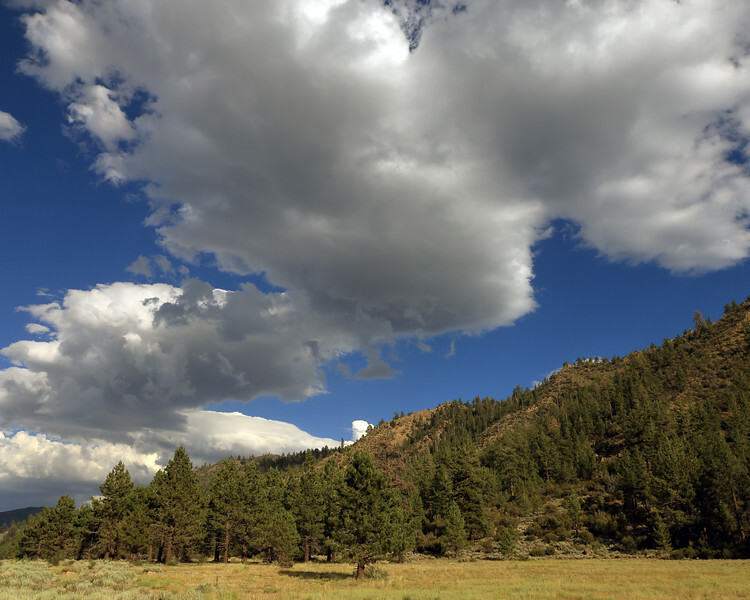 The area is slowly recovering from the A-Rock Fire that burned through the area in 1990. 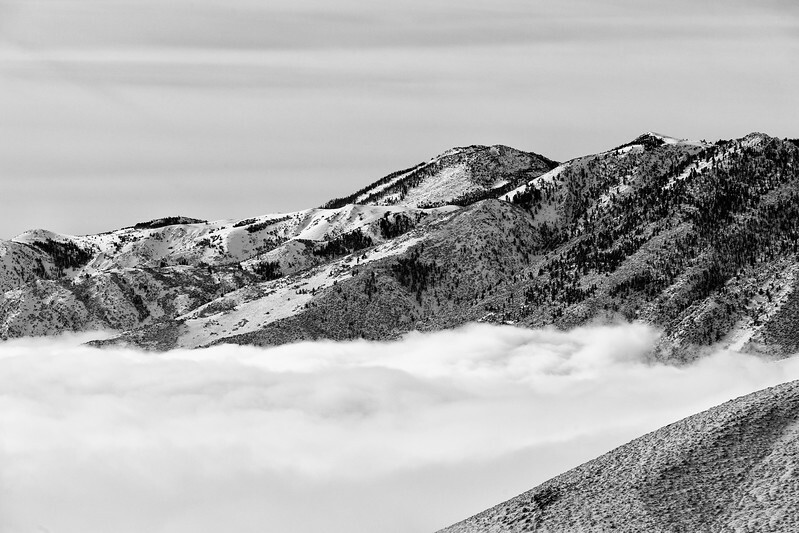 Lee Vining Peak rises above the cloud-filled Mono Basin in Mono County, California. 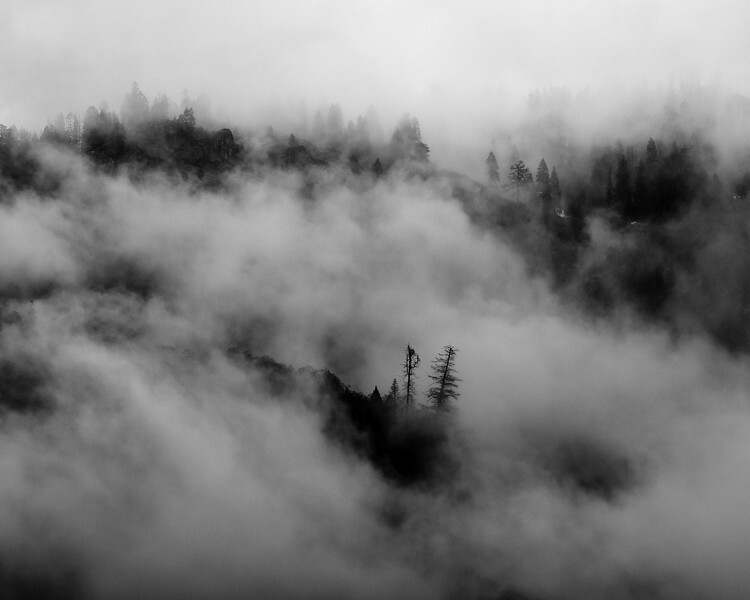 The clouds were trapped in the basin by a winter temperature inversion. 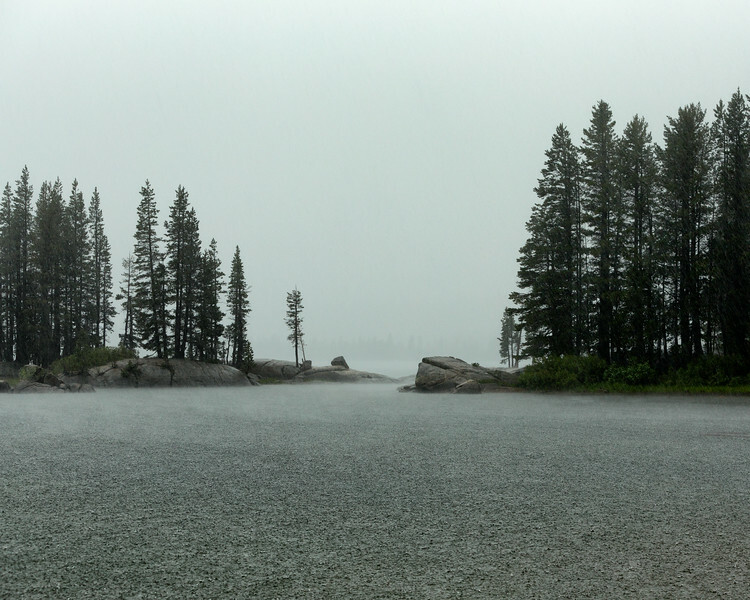 Rain and hail splashes into the surface of Lake Alpine during a brief but intense thunderstorm in Alpine County, California. Sentinel Falls pours over a lip to begin a 2,000 foot descent into Yosemite Valley during a spring storm in Yosemite National Park in Mariposa County, California. 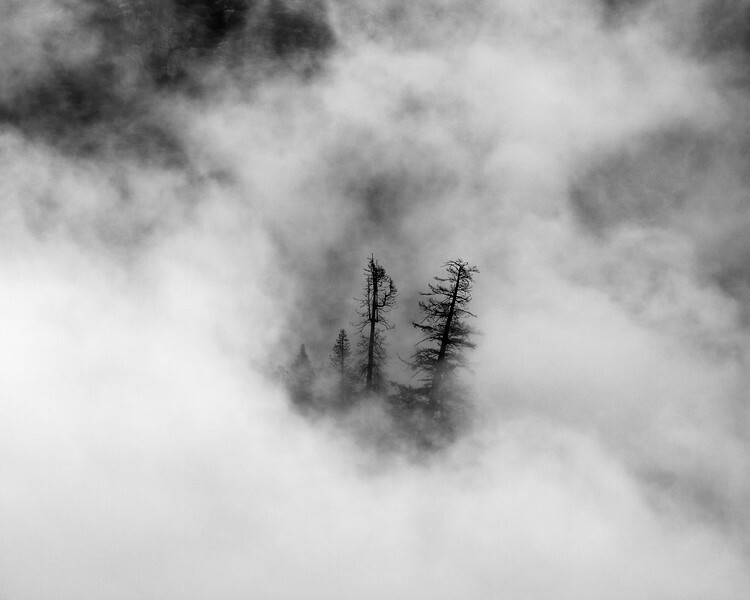 Fog envelopes trees growing on a cliff above Camp 4 in Yosemite National Park during a spring storm in Mariposa County, California. 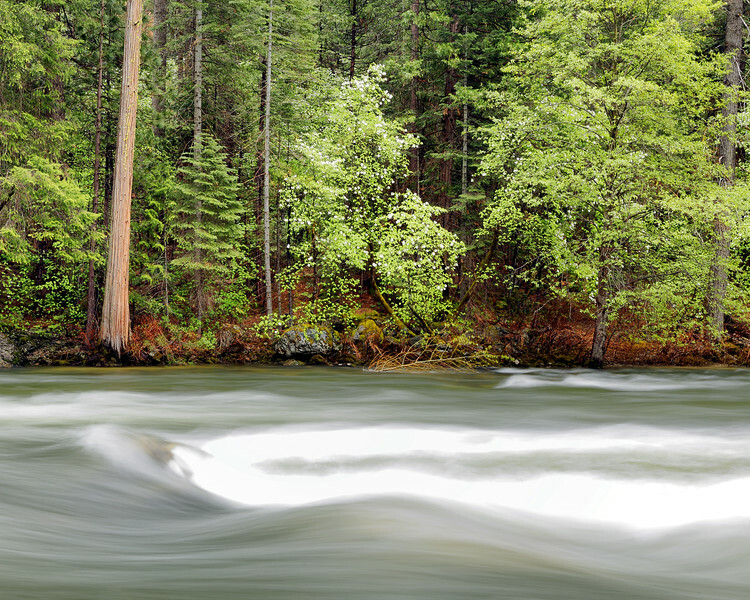 The flooding Merced River roars past flowering dogwoods along the banks in Yosemite National Park in Mariposa County, California. 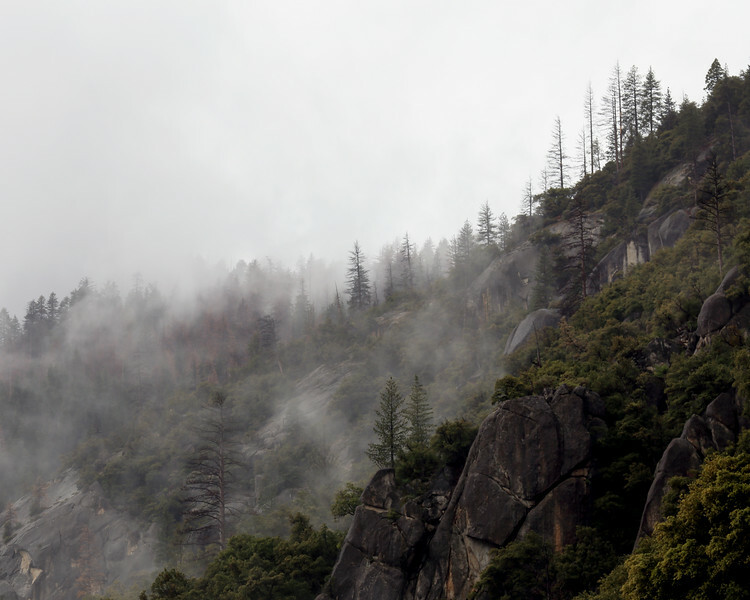 Several trees on a cliff appear in a break in storm clouds in Yosemite National Park in Mariposa County, California. 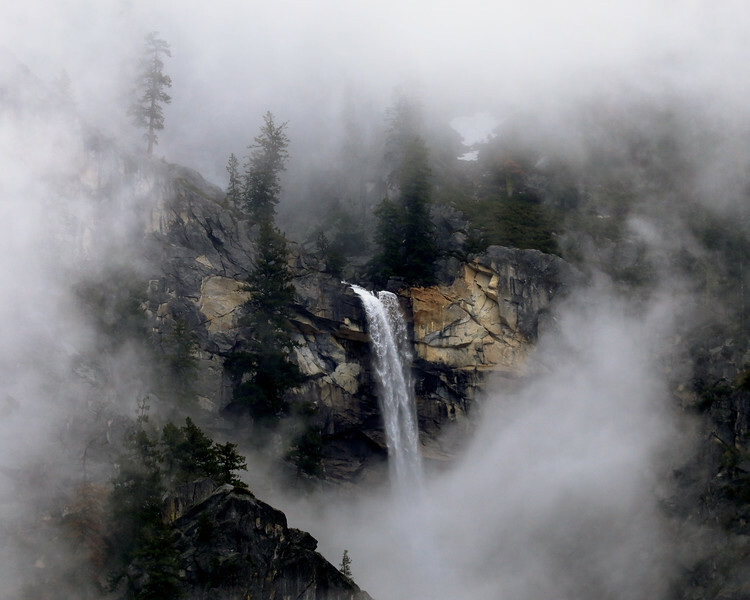 Fog and clouds cling to the canyon walls during a spring storm near Cascade Falls in Yosemite National Park. 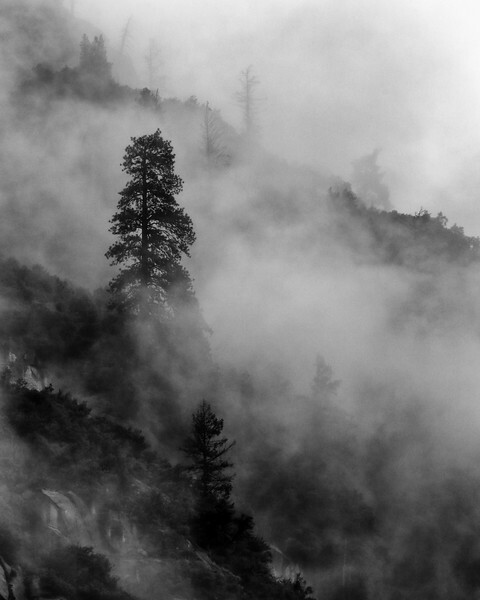 Fog pours over a cliff near 4 Mile Trail during a spring storm in Yosemite National Park. 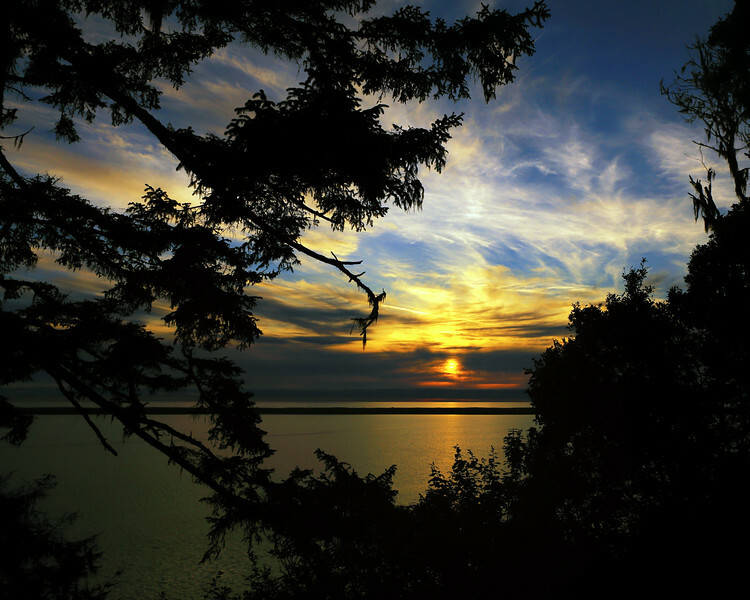 The setting sun drops behind clouds beyond Big Lagoon in Humboldt County, California. 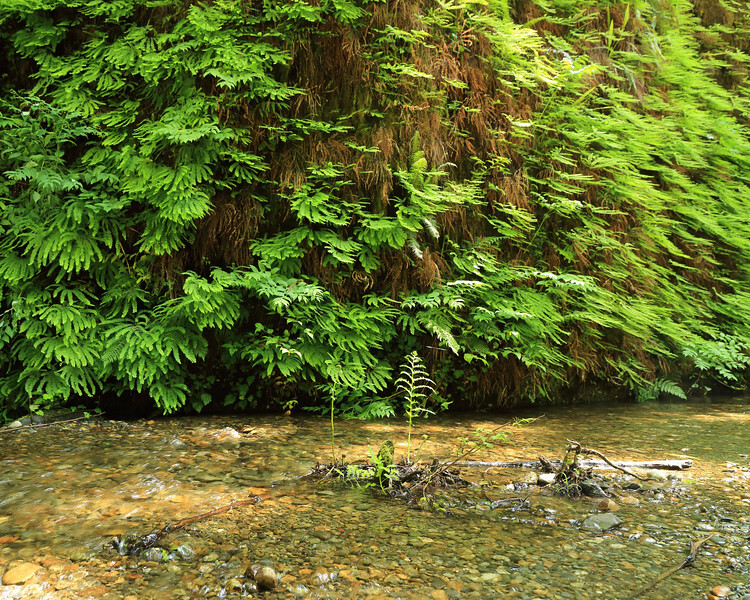 Five-fingered ferns (adiantum aleuticum) grow from the vertical walls Fern Canyon as water trickles down through the leaves into Home Creek in Humboldt County, California. 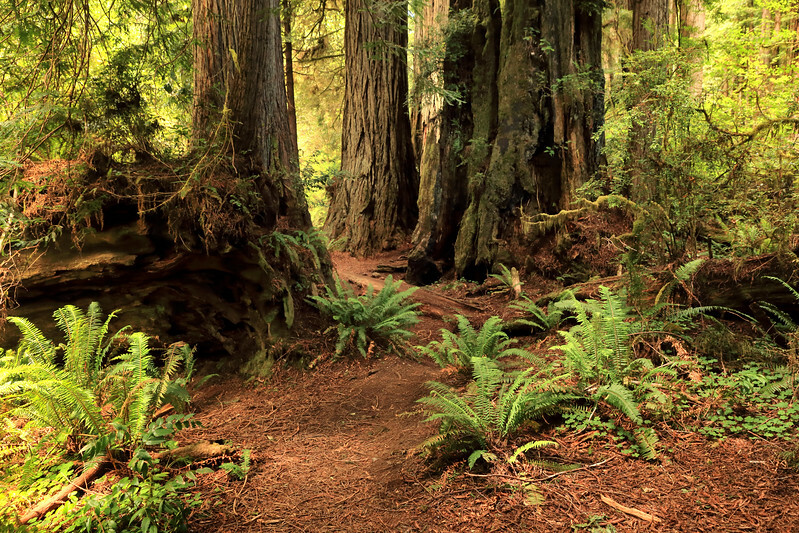 Daylight filters through the towering redwood trees onto the ferns growing on the forest floor in Redwood National and State Parks in Humboldt County, California. 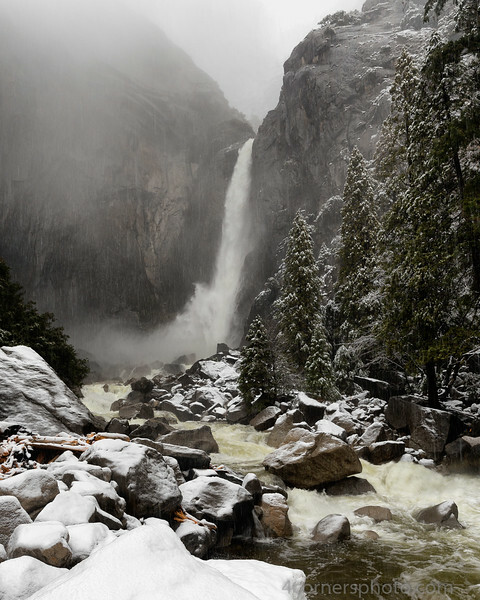 Snow falls during a strong winter storm as water thunders down Lower Yosemite Falls toward the Merced River in Yosemite National Park. 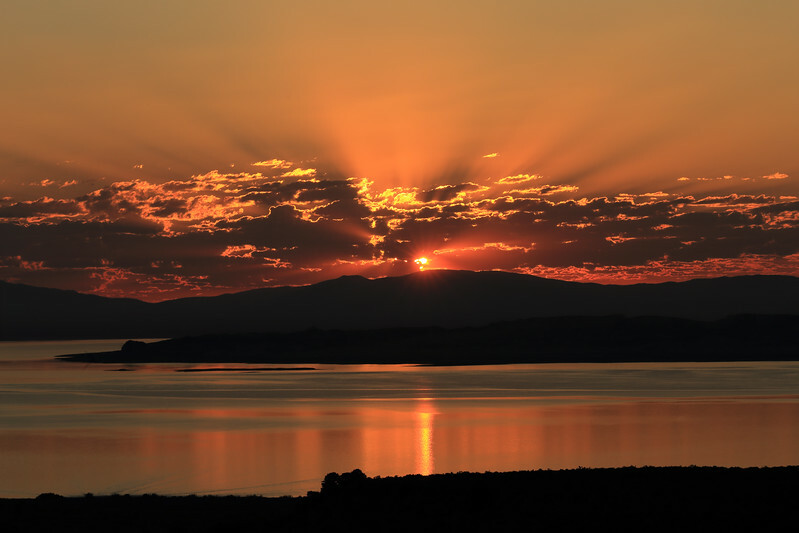 Crepuscular rays radiate from the sun as it rises above Mono Lake in Mono County, California. 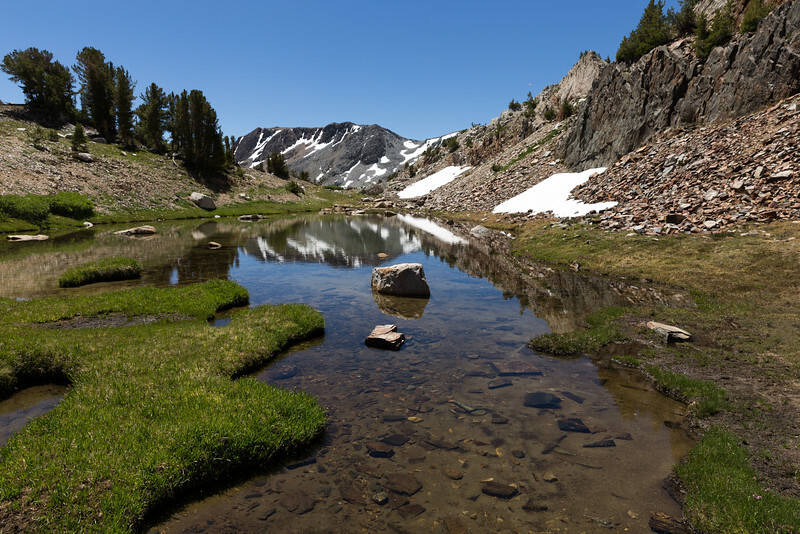 After a winter of heavy snowfall, snow remains on the last day of spring above Fern Lake in the Ansel Adams Wilderness in Mono County, California. 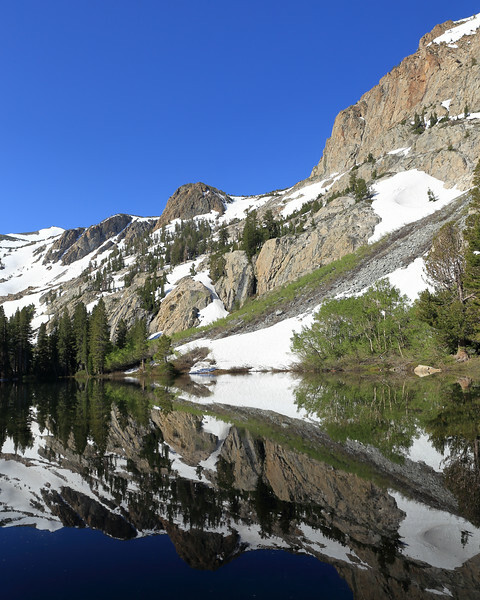 Sheets of ice on Ellery Lake slowly melt on the last day of spring in the Inyo National Forest in Mono County, California. 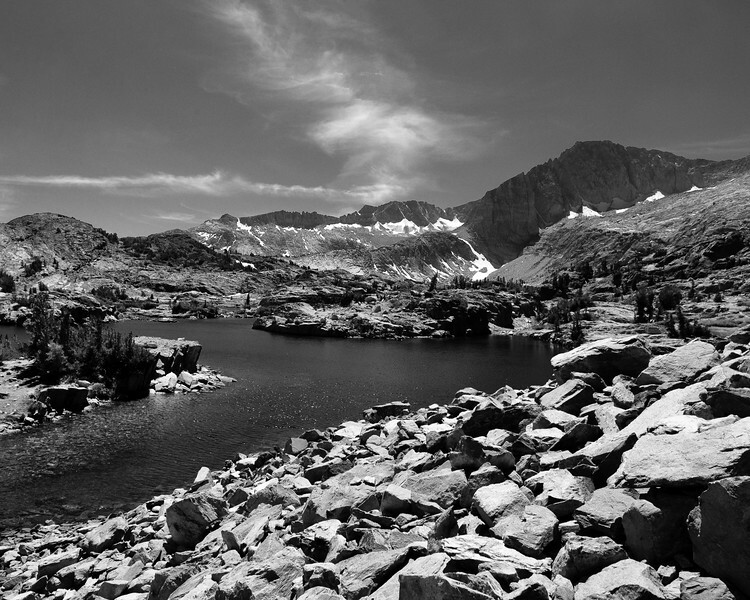 Snow remains on the mountains soaring above Fern Lake in the Ansel Adams Wilderness in Mono County, California. 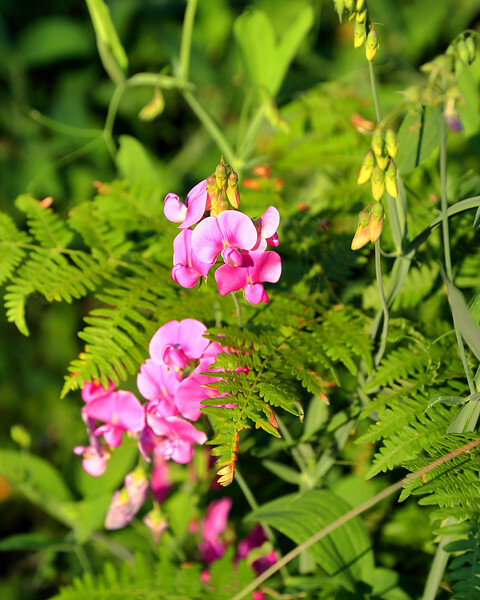 Sweet peas bloom in amongst the ferns on the forest floor in the Stanislaus National Forest in Calaveras County, California. 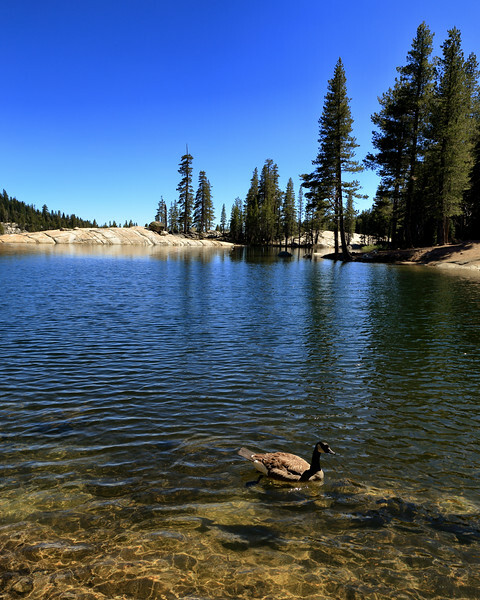 Trees tower over Lake Alpine as a Canada goose swims across the lake in Alpine County, California. A pair of mallard ducks swim on Fern Lake on the last morning of spring in the Ansel Adams Wilderness in Mono County, California. 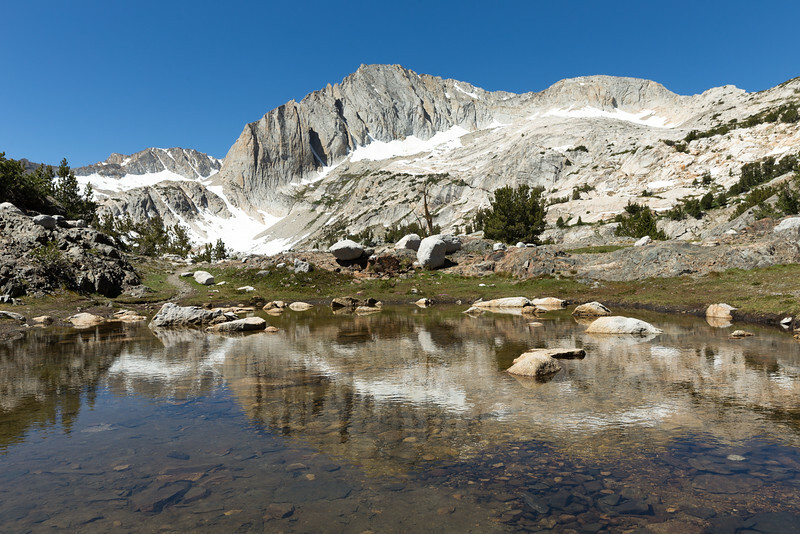 Excelsior and Black Mountains rise above the Twenty Lakes Basin in the Hoover Wilderness. 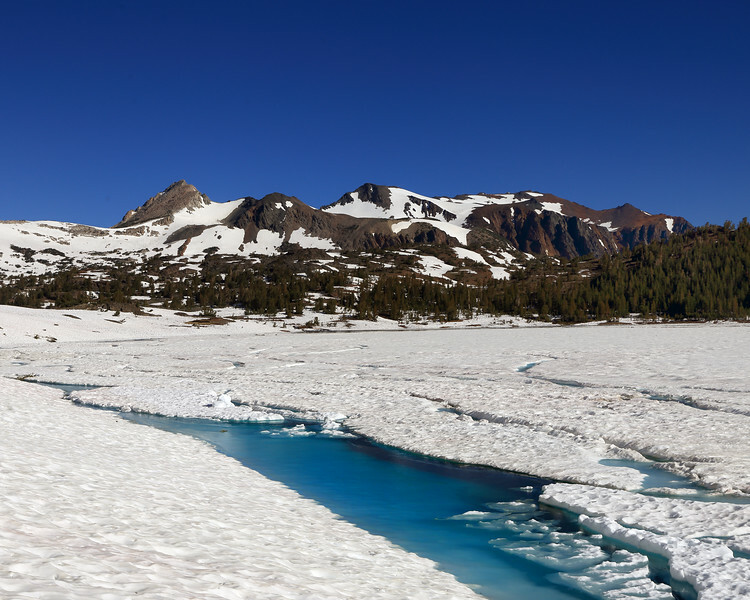 In the foreground, several feet of snow remain on top of the ice covering the surface of Saddlebag Lake in Mono County, California on a July morning. 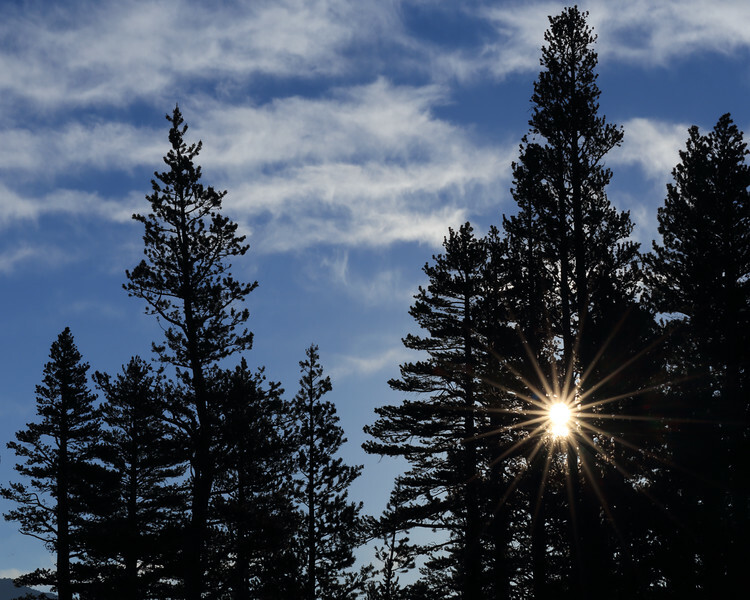 The rising sun shines through trees in the forest near Tioga Pass in Yosemite National Park on a cool summer morning. 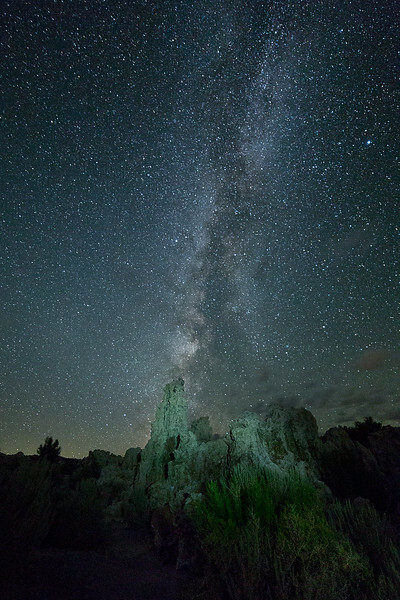 The Milky Way stretches above tufa towers on the shores of Mono Lake on a warm summer night in Mono County, California. 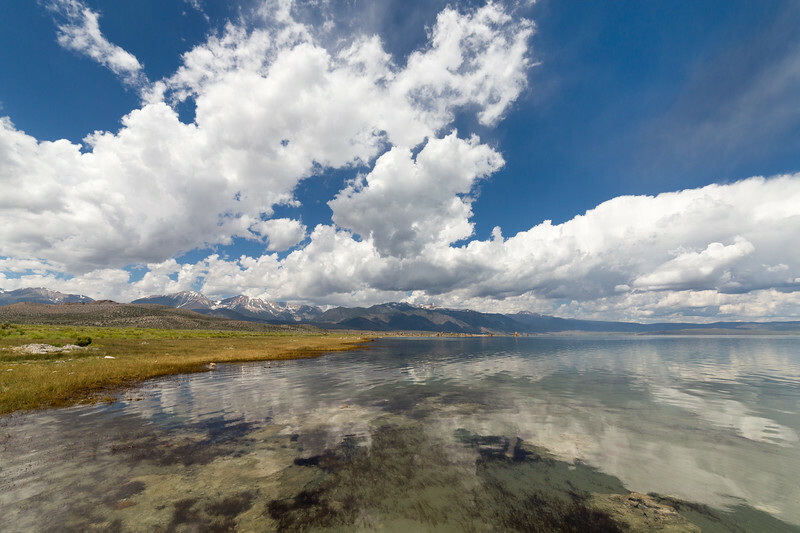 Clouds form over the Sierra Nevada and are reflected in the calm waters of Mono Lake on a summer afternoon filled with thunderstorms in Mono County, California. 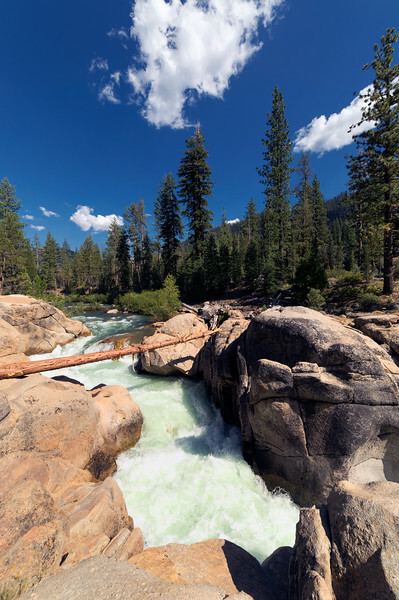 The waters of the Stanislaus River roar between boulders through the Stanislaus National Forest in Tuolumne County, California. 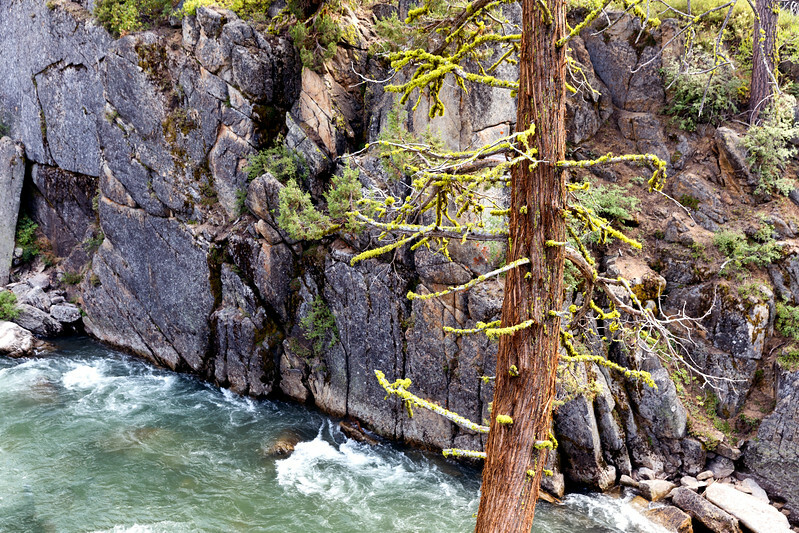 Moss clings to a tree above the swollen Stanislaus River in Tuolumne County, California. 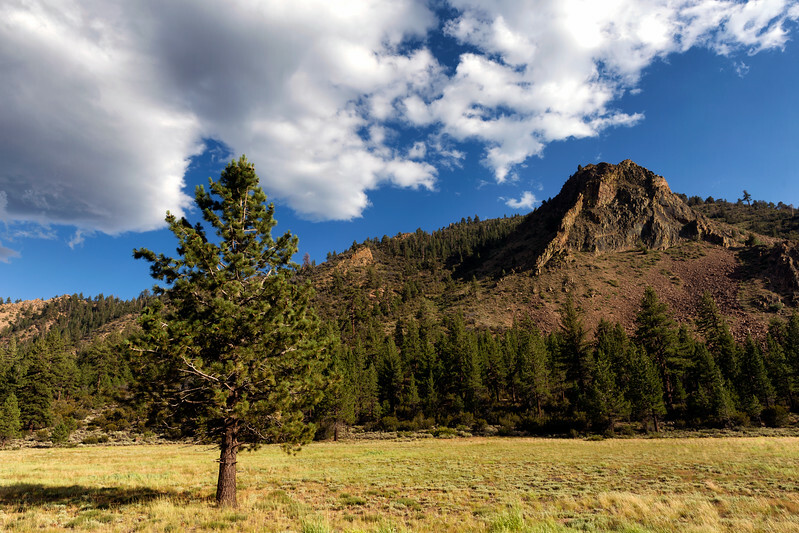 A lone pine tree grows in a meadow at Devil's Gate Pass in Mono County, California. 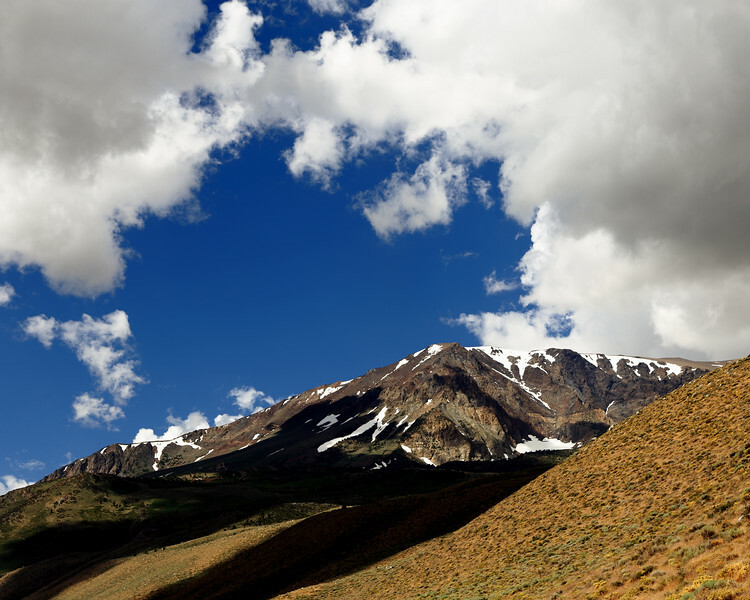 The rock formation in the mountains gives name to the area. 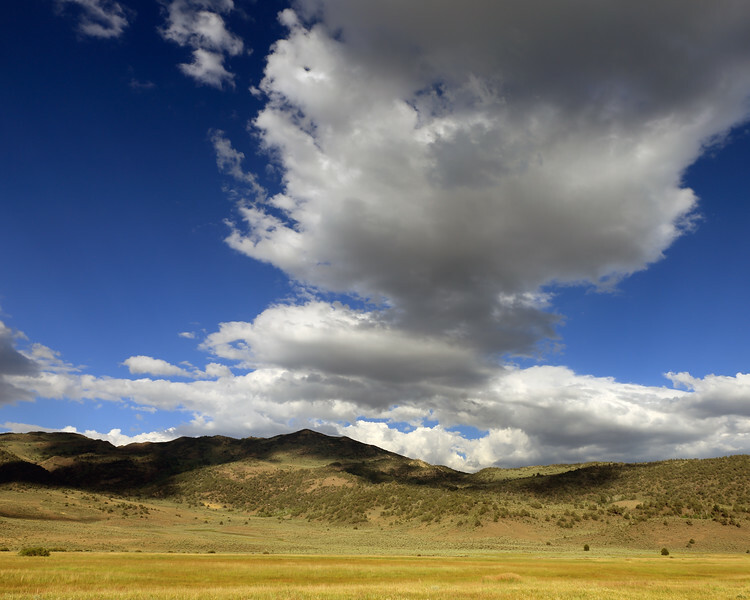 Afternoon clouds cast shadows on the mountains in the Toiyabe National Forest near Bridgeport, California. 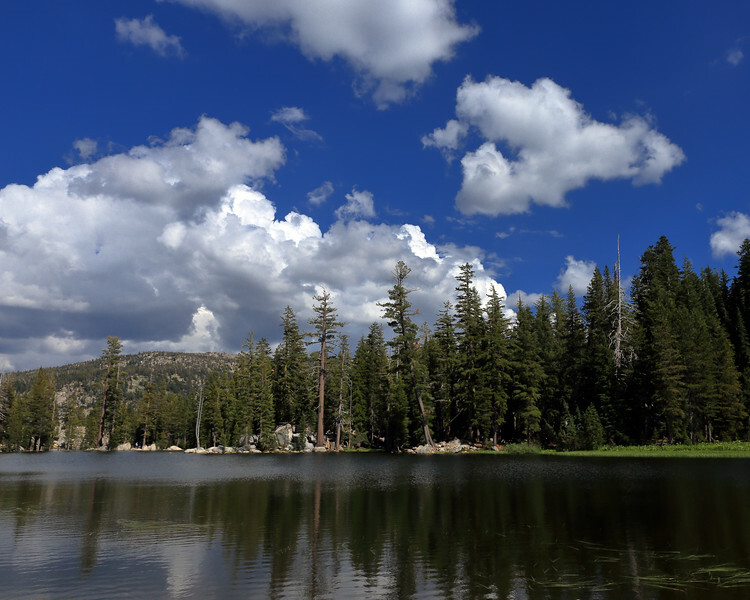 Forming summer thunderstorms are reflected on the surface of Mosquito Lake in Alpine County, California. 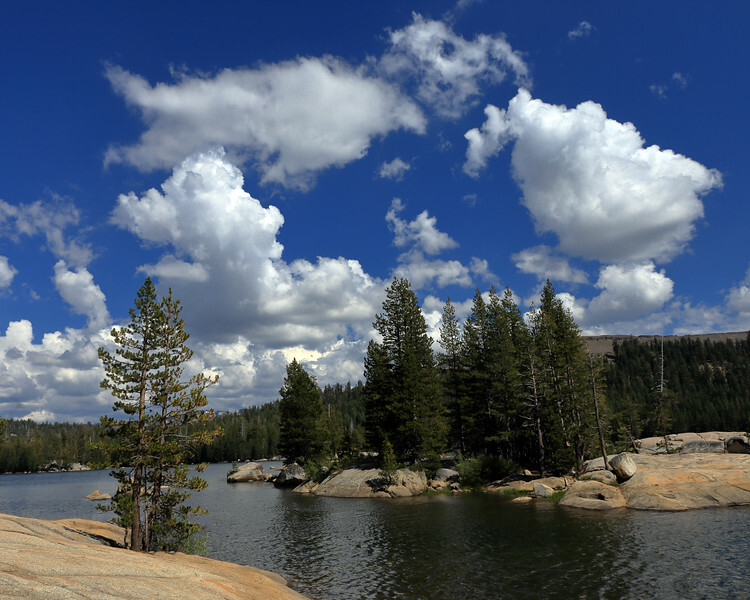 Afternoon thunderstorms begin to form in the distance and are reflected by the water at Lake Alpine in Alpine County, California. 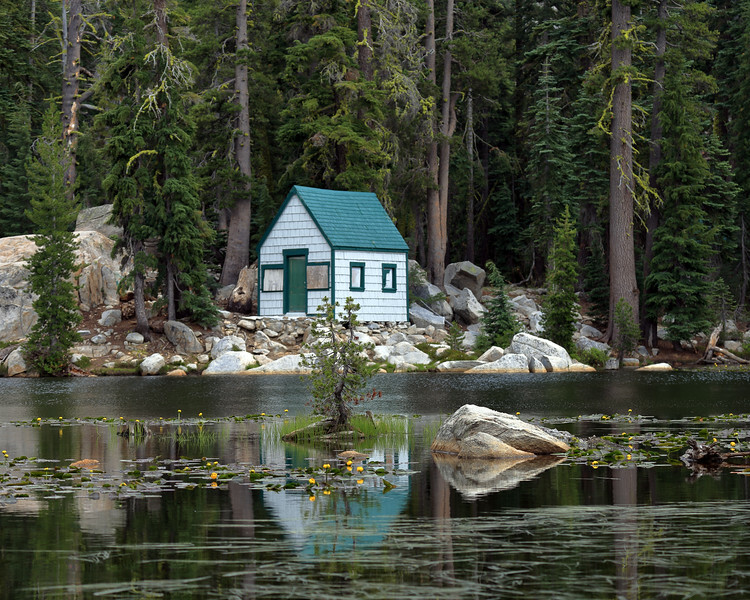 A boarded up cabin sits in the forest on the shore of Mosquito Lake in Alpine County, California. 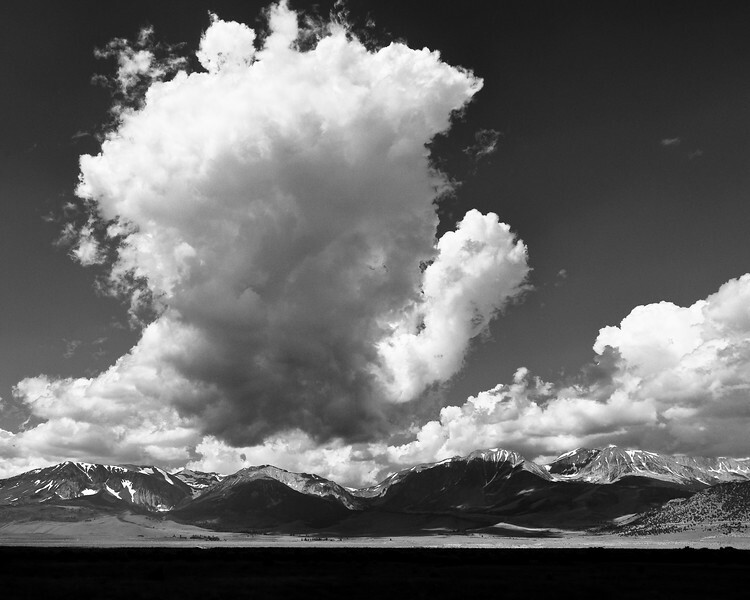 A building thunderstorm casts shadows on Mount Wood in Mono County, California. 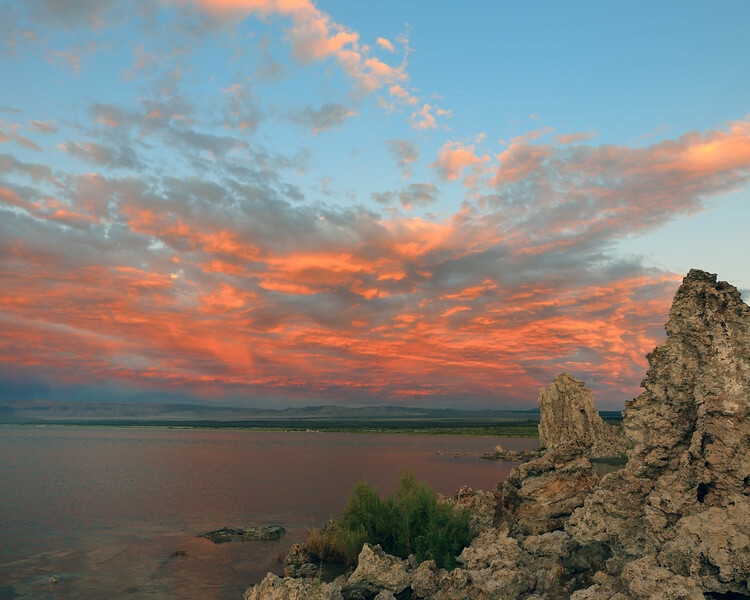 A building thunderstorm casts shadows on the Sierra escarpment and the Mono Basin in Mono County, California. 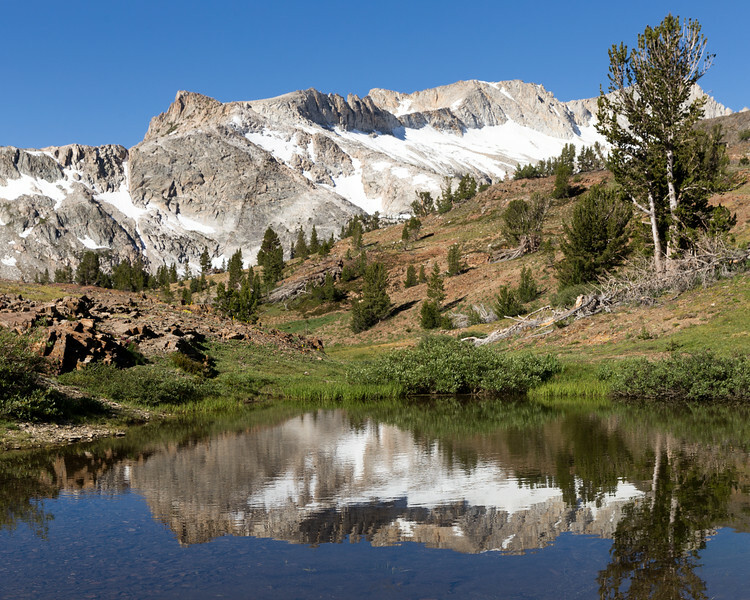 Patches of snow linger on the volcanic peaks and spires of the Emigrant Wilderness on a summer afternoon near Sonora Pass in Tuolumne County, California. 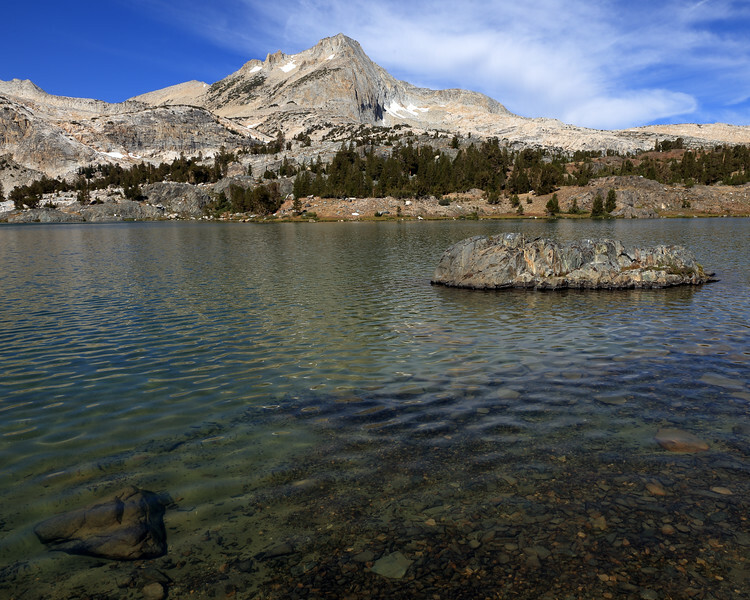 Mount Conness and North Peak rise above Shamrock Lake in the Twenty Lakes Basin in Mono County, California. 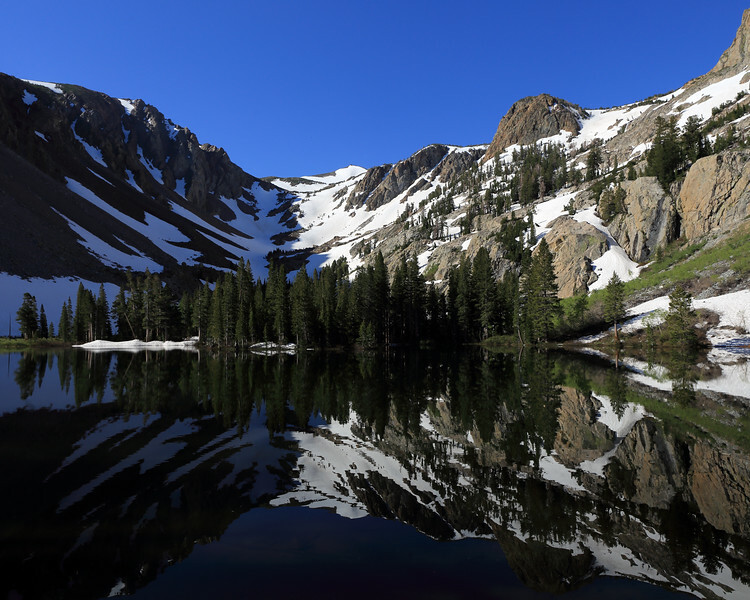 North Peak soars above Greenstone Lake in the Hoover Wilderness on a summer afternoon in Mono County, California. 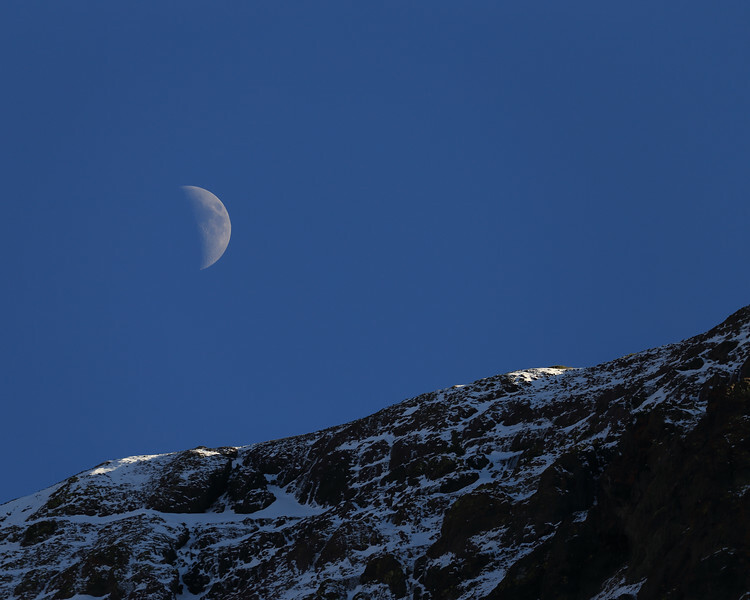 The waxing crescent moon hangs over Night Cap Peak in Tuolumne County, California on an autumn afternoon just below Sonora Pass. The area was blanketed by snow during an early season storm. 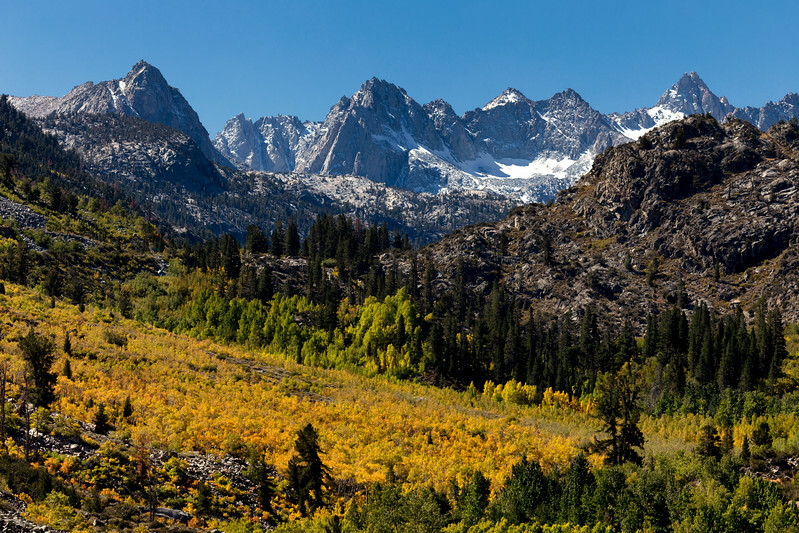 Aspen leaves changing colors with Mount Wallace and Mount Haeckel rising in the distance in the John Muir Wilderness in Inyo County, California. 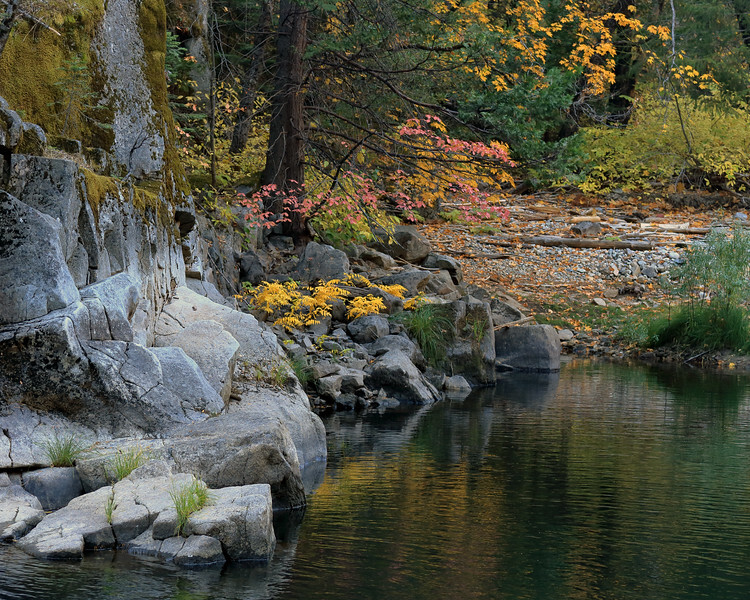 Vibrantly colored leaves are reflected in the Merced River on an autumn afternoon in Yosemite National Park. 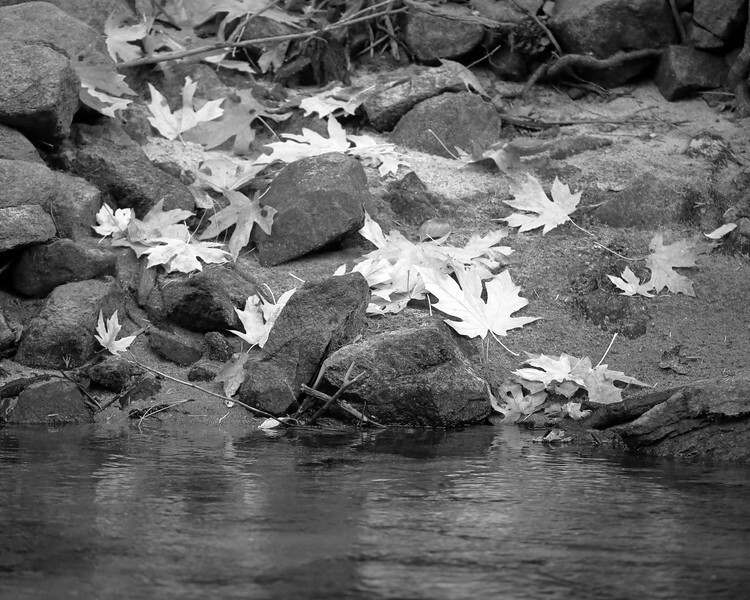 Fallen bigleaf maple leaves along the shore of the Merced River in Yosemite National Park in Mariposa County, California.